I also would like to thank Kate and all at Worrall Moss Martin Lawyers for all the advice and support I have been given. Dealing with my estranged father’s estate has been at times stressful and very complicated so it is of great comfort to know that I am receiving the best advice. Kate Moss B.Sc. LL.B., TEP, Notary Public, is a probate lawyer at Director level. As the Director in charge of our probate practice area, Kate leads a team which includes probate and commercial and property lawyer, Hannah Boxall, and two senior probate assistants. She works on trusts and estate administration, and on legal issues that arise as a consequence of the death of a person. This includes resolving superannuation, insurance, ownership, trust, and related issues when someone has died. Kate is one of the most experienced probate lawyers in Tasmania and administers a significant number of probate files for both regular and high net worth estates. Kate is a graduate of the University of Tasmania, and holds a Graduate Diploma of Legal Practice. Kate has also completed further studies with the Taxation Institute of Australia. On 16 October 2017, Kate was appointed by the Chief Justice of the Supreme Court of Tasmania as a Notary Public. A Notary Public prepares, certifies and authenticates documents for use overseas. In order to be appointed, Kate undertook a significant amount of private study, as the practice of a Notary Public is, at times, somewhat arcane. Kate has a particular interest in legal issues arising from death, and regularly provides advice to Executors and Trustees, Administrators entitled to apply for Grants of Representation pursuant to the laws of intestacy, beneficiaries of deceased estates, and about superannuation death benefits. Particular areas of Kate’s expertise include advice about complex estate administration matters, including taxation matters, and advice about Will Trusts created on death. Kate also has extensive experience in applications made to superannuation funds for payment of death benefits, where consideration must be given to an individual’s personal circumstances and their relationships at death. Kate enjoys acting for and working with clients who require sensitive and comprehensive advice about legal issues arising from death. Kate is sympathetic to clients who have lost someone close to them, and understands the need for good counsel, practical advice and understanding during the grieving process. 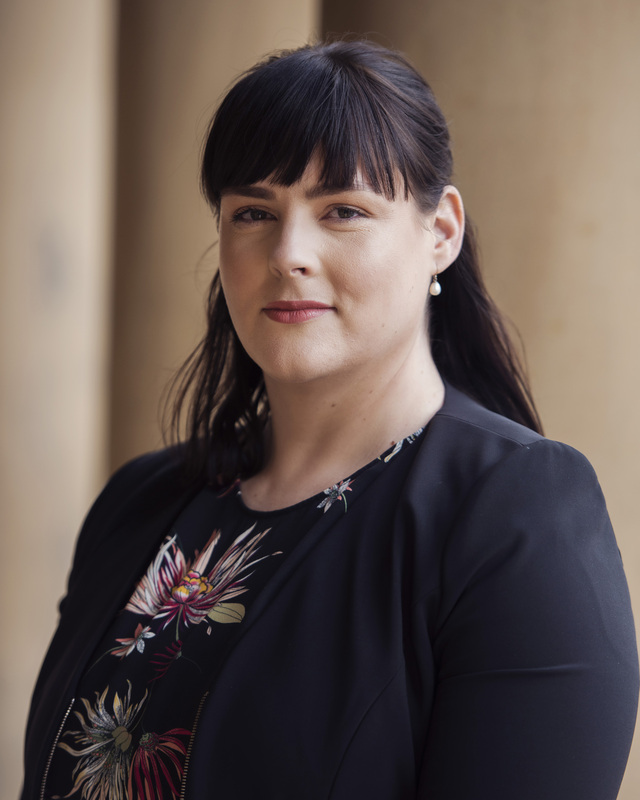 Kate is a member of the Law Society of Tasmania, and is also a Full Member of the prestigious Society of Trust and Estate Practitioners (STEP), an international group of members involved in trusts and estates. She is a member of the Tasmanian branch of STEP. Kate has presented to her peers (both Tasmanian and interstate) on topics relating to Executors and instructions in Estate Administration matters. Kate is a strong contributor to the articles that appear in the Worrall Moss Martin Lawyers’ publication Estate Planning News Tasmania. A selection of professional papers, text books and articles that Kate has authored or contributed to can be downloaded or purchased (where applicable) from this website. Clients or other lawyers, financial planners, or accountants seeking to instruct or refer to Kate may contact her by the contact details and options on this page.